Alexander Sarnowski is the product designer behind Mini Cannon Tech – fully functional mini-sized cannons that combine CNC metal machining with wood laser cutting. For as long as he can remember, Alexander has been building everything from his own morse code machines to home made rocket motors. For his 16th birthday his father bought him a mid-sized lathe, and since then he’s been designing and cranking out parts every chance he gets. The inspiration behind his miniature civil war cannons came when he manufactured a cannon for his grandfather’s birthday. Alexander started his research on the mini cannon market and quickly found that while there were plenty of functional cannons available, most of them weren’t nearly as realistic as the ones he had in mind. 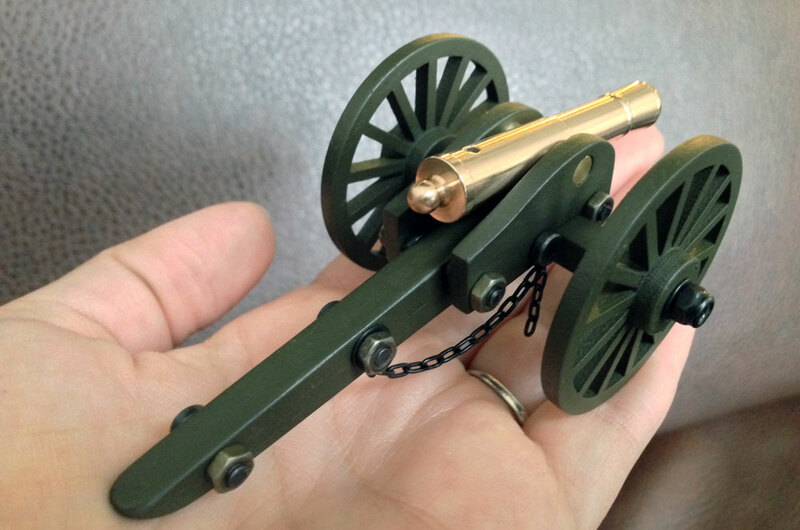 So he set out to create a scaled down civil-war era black powder cannon that was fully functional, small enough to fit on a desk, and made from historically accurate materials. His first run of cannons quickly sold out to customers worldwide. I asked Alexander if he had any future products on the horizon. 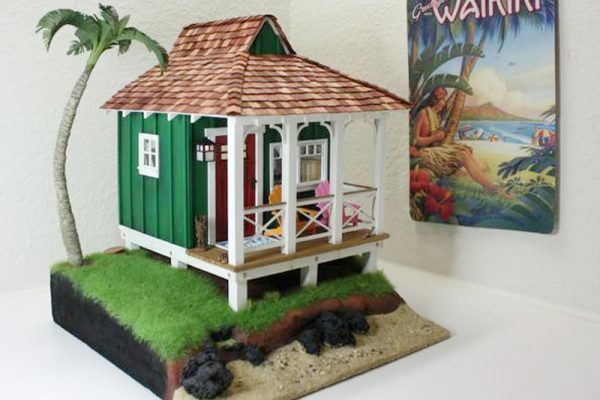 You can get your own realistic, miniature shootable cannon at Mini Cannon Tech. The cannons are gorgeous, and function exactly as described.. Amazing technology.